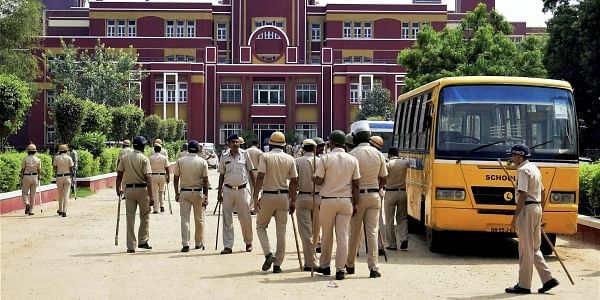 NEW DELHI: A day after a Class XI student was apprehended in connection with the murder of a Ryan International School student recently, sources in the agency revealed to the New Indian Express how they got the teenager to confessing the crime. Sources said the boy was served pizza, sandwiches and chocolates and the initial discussions between the sleuths and the suspect centred round the famous fictional character Harry Potter, music and fancy bikes. The Class XI student was initially questioned in the presence of his parents in the interrogation room. “The idea was to make the suspect feel at ease and reveal the sequence of events related to the alleged crime. The novel measures helped in striking a rapport with the suspect, who subsequently opened up. Later, he was taken to the shop at Gurugram from where the murder weapon was purchased by him,” sources said. While the CBI has identified the suspect based on scientific and forensic reports, as also questioning of as many as 125 school students, teachers and staff, the agency is yet to firm up the sequence of events. At present, the questioning of the juvenile is aimed at unearthing the larger conspiracy, identification of the shop from which the murder weapon was purchased and recreation of the crime scene. The probe is also seeking to unravel the possible larger conspiracy and additional evidence connected to the crime. Defending his men, Khirwar said the Gurugram cops were not at fault. He, however, did not answer questions about the recovery of the murder weapon and the arrest of a bus conductor without the completion of the investigation. But the Commissioner admitted that sexual assault was not established in the post-mortem report, even as the police had claimed that Kumar had assaulted the victim sexually. Gurugram police is facing the heat now and being accused of colluding with school authorities. “We had not concluded the investigation and not done a specific role attribution. ,” the commissioner claimed in an apparent bid to justify that there was no pressure on his men. He claimed there was evidence against the accused bus conductor who was arrested. “We had collected physical evidences from the spot with the help of forensic experts,” he added. Seven-year-old Pradyuman was found with his throat slit on the morning of September 8.